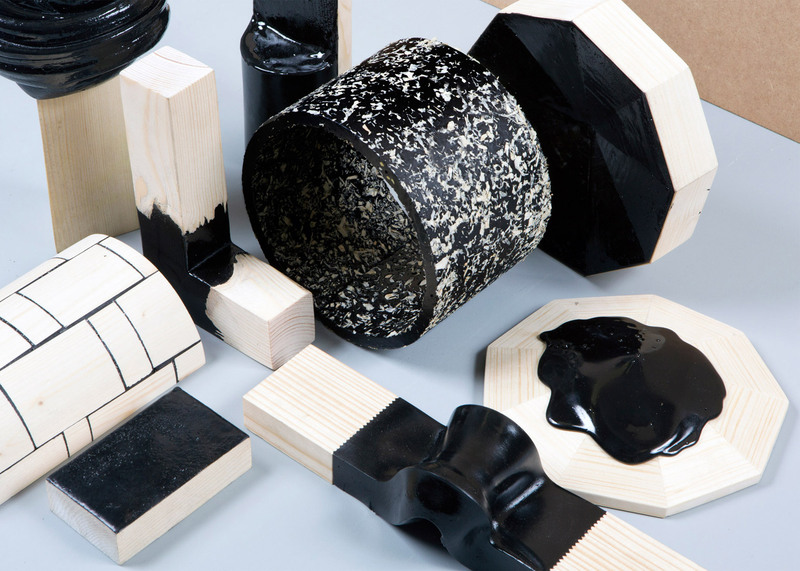 Dutch designer Thomas Vailly has collaborated with four other designers to create furniture and products that combine pine wood with natural dark resin (+ slideshow). 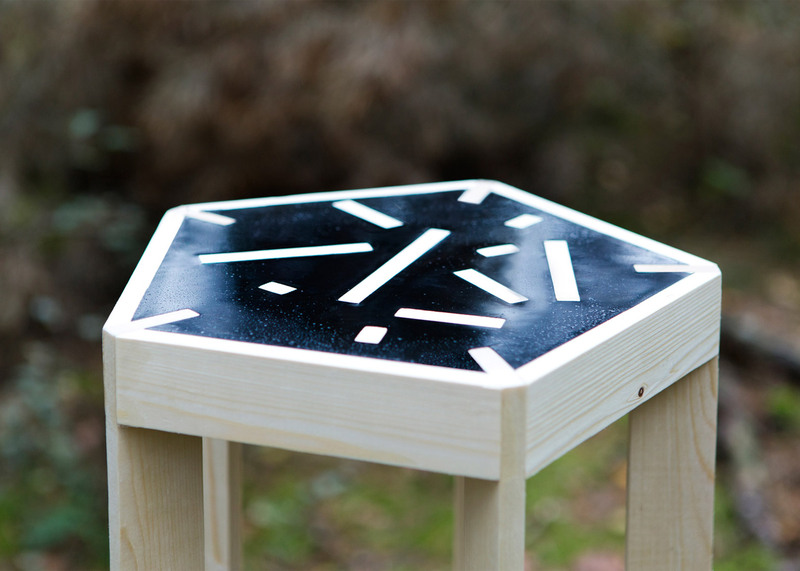 Each of the pieces in the Reconfiguration of a Tree research project are made from materials taken from a Pinus Pinaster tree – a resinous species that grows in the Landes forest in France. The trees are usually harvested for their resin – also known as pitch – although the substance is becoming less popular as a result of synthetic alternatives. Vailly deconstructed a single tree, and shared both the wood and pitch with four other designers. All five of them then used these materials to create the various objects. "The result is an abstraction of a tree, a black matter joining, coating, blending in and contrasting with pine wood," said Vailly, who previously "grew" a collection of stone tableware. "Like every natural substance, pine pitch varies from one source to the other. Each kind of tree and extracting method has its own characteristics," he added. 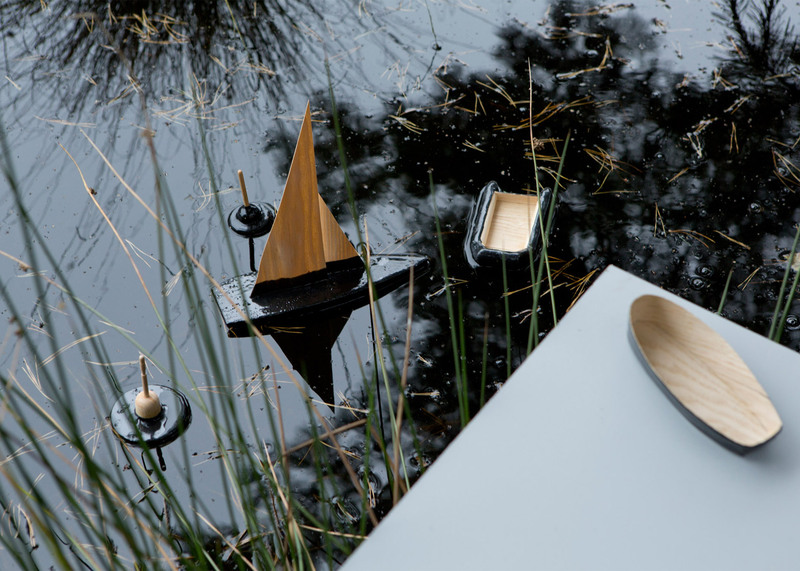 Lex Pott created a floating toy boat with carved wooden sails that rest on a pitch-coated base, as well as a set of wooden clogs, also partially coated in black resin. 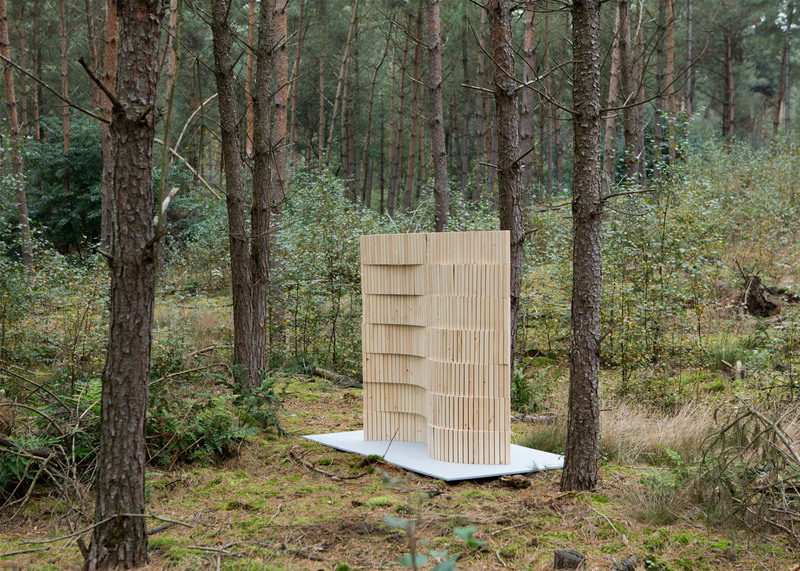 Dutch designer David Derksen's Wallwood sculpture is made from rectangular slices of wood that have been sandwiched together with resin to create a rippling wooden partition. Icelandic designer Gardar Eyjolfsson designed a trio of vessels that blend together circular and cubic shapes, and a paired stool and side table. Vailly's studio also designed furniture, with a pair of high and low stools with patterned seats, created by placing sections of pine wood in black resin. The designer showcased the various possibilities of the tree's materials with a set of decorative objects that demonstrate different ways pitch can be applied – whether as a coating, a glue, or a solid substance. 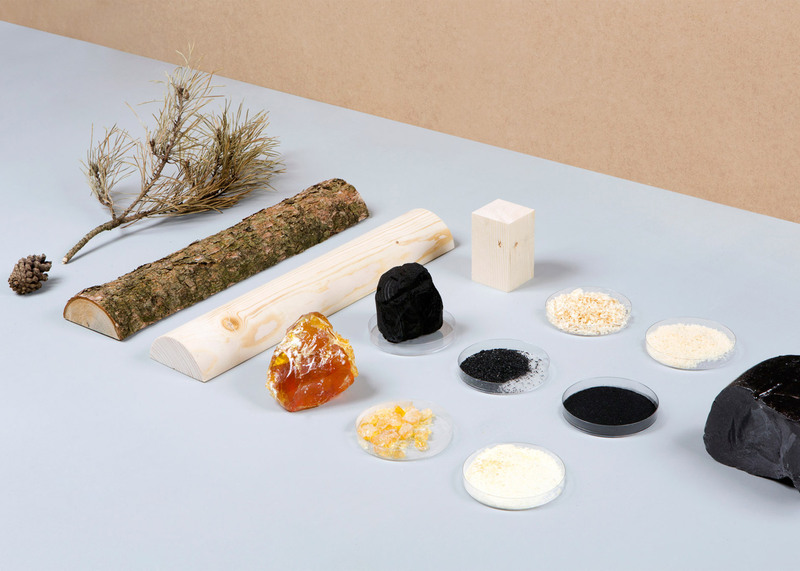 "Natural materials are building blocks – biopolymers, sticky tar, flexible fibres or stiff binders," said Vailly. "The ubiquity of synthetic substances minimises our interest for existing natural solutions," he added. "The focus is now on developing synthetic materials from scratch through heavy chemical processing. This project proposes to go back to the basics and use natural building blocks to develop materials." 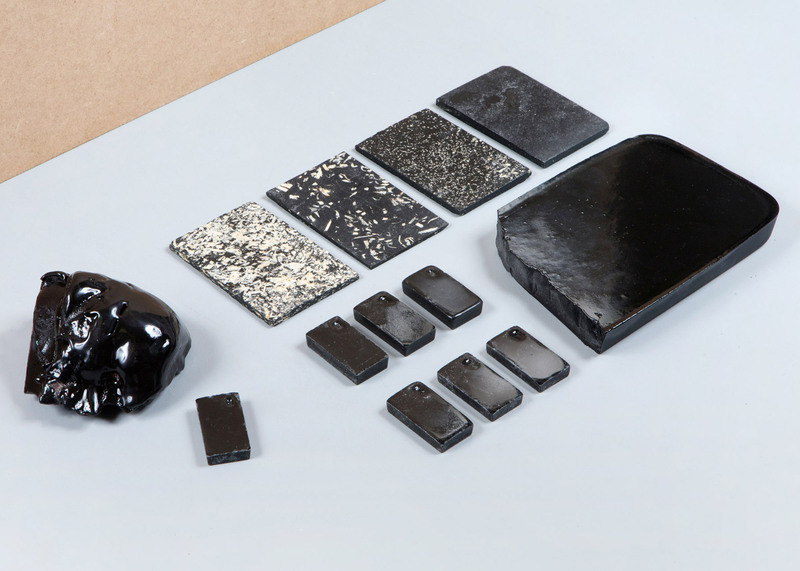 Studio Swine has also experimented with using natural materials, developing a range of optical frames constructed from human hair embedded in natural resin. Meanwhile, Eindhoven designers Formafantasma uncovered ways to turn natural resins and rubbers into plastic, that was then used to create a range of vessels. Photography is by Floor Knaapen.